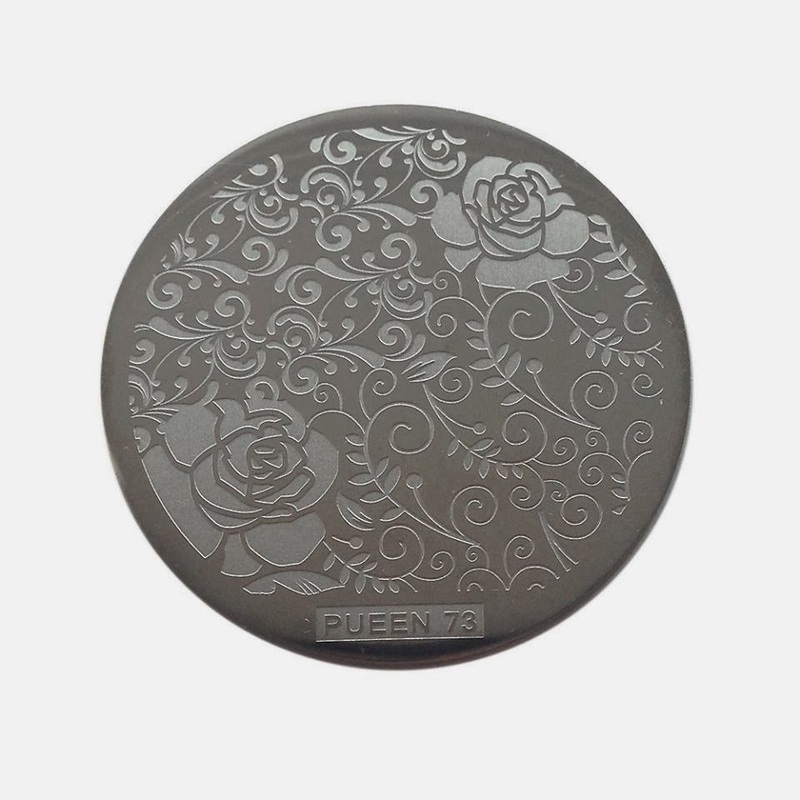 Lacquer Lockdown: Hot Off The Stamping Press: Pueen Cosmetics 2014 Stamping Buffet Nail Art Plates! 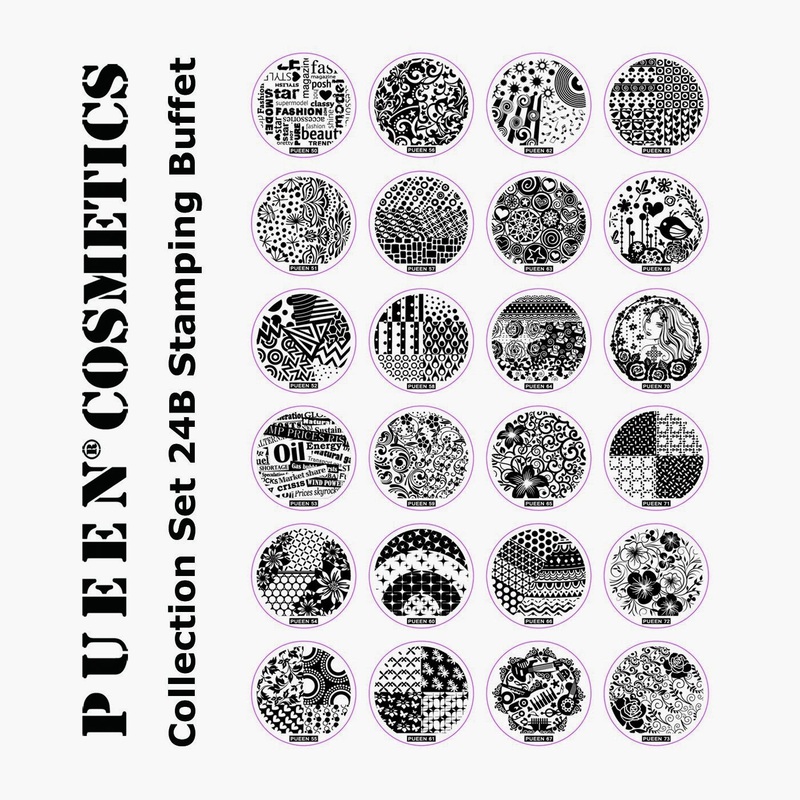 Hot Off The Stamping Press: Pueen Cosmetics 2014 Stamping Buffet Nail Art Plates! I could not hold my desire to share these plates with you for one more freaking second! Mainly because I just saw the whole set preview and thought I cannot tell anyone IRL about how excited I am about these plates and have them get it as much as I my readers. 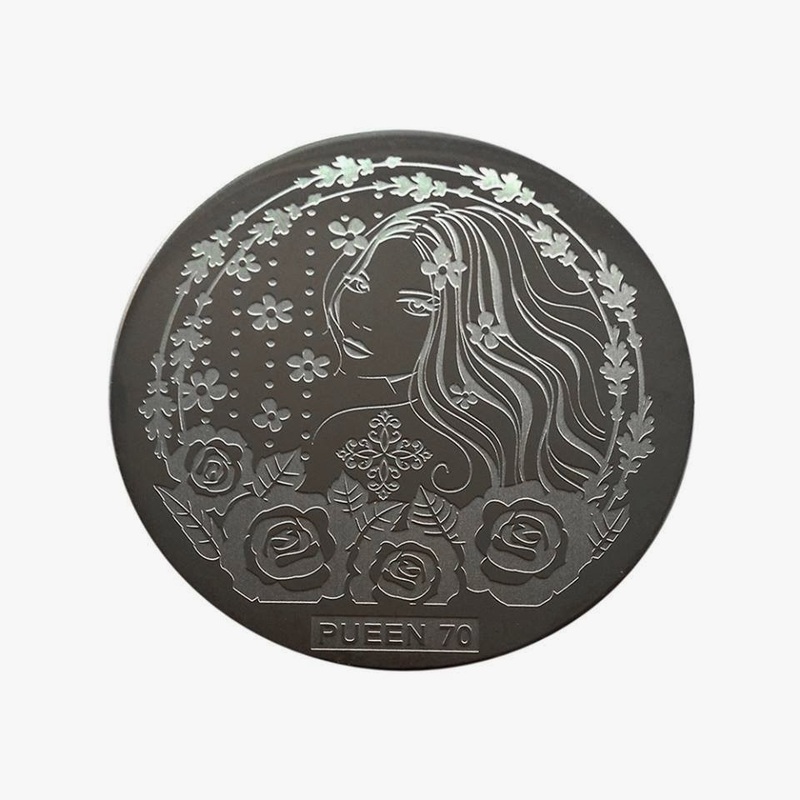 Pueen is going to be releasing this new infinity-eque plate series soon. I want you to realize MoYou London has forever changed the game when it comes to stamping nail art. As far as I know they are the first company to try the concept of full nail plate images, weaving an entire theme around one singular plate to create a cohesive collection. Other companies have quickly hopped on the bandwagon including Dashica, MyOnline Shop and now Pueen. So why am I so excited? First, the quality of Pueen plates are second to none! I am thrilled with the 2 collections I have thus far. Second OMG OMG its a full freaking collection of plates and what's more they will likely be much more reasonably priced than the individual plates we have seen to date. Hey y'all know I own a huge amount of these plates but nothing and I mean nothing beats a bargain! I want to throw myself around the room screaming in glee! But ok ok let me just show you the plates first. 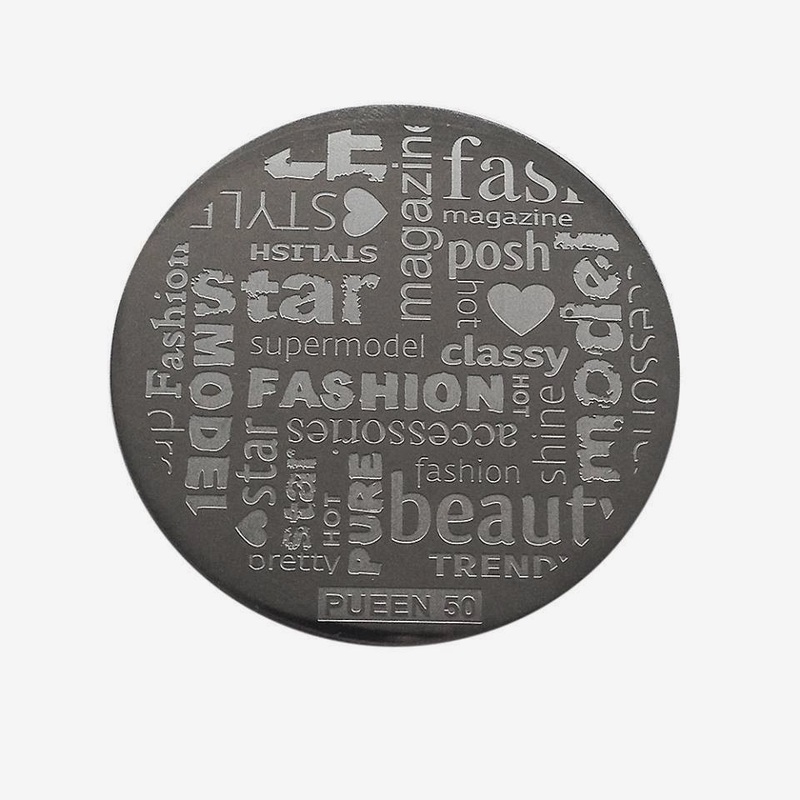 I also have a close up from the Pueen Cosmetics Facebook of two of the plates thus far! The above one is a little less my cup of tea but I like that this could be come a very graphic style mani with the right type of stamping! Look at plate 70 it's just freaking incredible, and the one below is also utterly perfect for Valentines Day! I've realized it I'm an addict. I can't stop stalking these stamping companies, getting excited all by myself, and then unleashing it out into the nail art universe. Lawd save me from myself! So I have no idea when these plates are releasing but it must be soon because the entire collection picture is from Amazon, but no plates are available to purchase. These will likely retail somewhere between $16-25 USD based on historical prices. I of course will put up a post the minute they release or update this one, but feel free to stalk along with me on Facebook. Happy hunting stamperistas ;) Thanks for reading and see you next post! Uggg...time to buy another binder from Bundle Monster! I love these and must must have them! I am still a bit nervous and intimidated by this type of plate but time is up for that! Thanks for sharing!! Since I do not have facebook I have to live through you. LOL! I do love my bundle monster binders. I just wish I could fit my octagonal, messy mansion and emily de molly sized plates and vivid lacquer and winstonia square plates could fit. Oh wow! Can't wait to see these in action! Now these are my kind of designs. Totally awesome! I'm so happy as well especially because this is the first time a company is doing this without charging us what I assume will be an arm and a leg per plate!